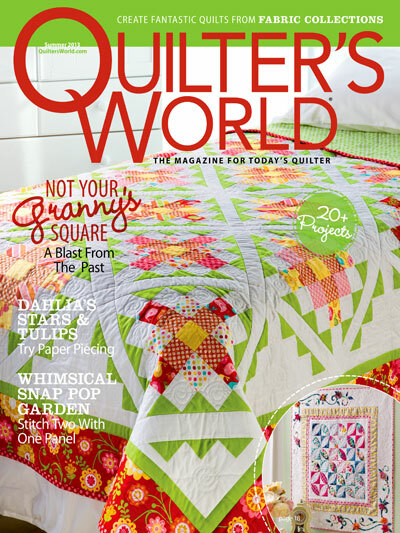 This entry was posted in Quilting and tagged Feather quilting, Free-motion quilted flower motif, Free-motion quilting. Bookmark the permalink. Wow, what gorgeous work! We’re in Hawaii for Easter and hoping to attend service at the historic Mokuaikaua Church, the first Christian church built in Hawaii, which is beside our condo in Kailua-Kona. Love that sweet Aurifl pink on this project. Absolutely gorgeous. 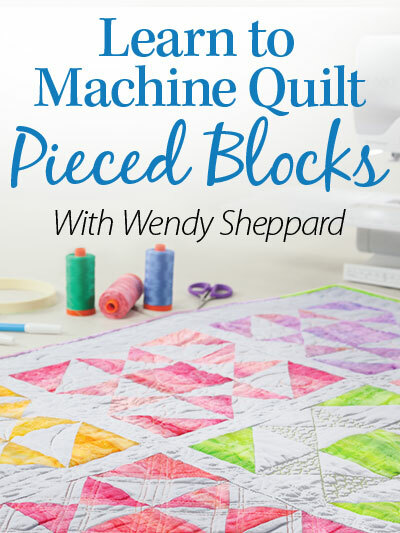 I do so love your sneak peaks and Thread Talk too! I hope you and your family are having a blessed week. Have been doing Spring cleaning, gardening and a few creative projects that have been fun, but I still have a huge learning curve. But still a very special week and one full of special memories and contemplation. Are you doing this on a long arm? What weight thread? 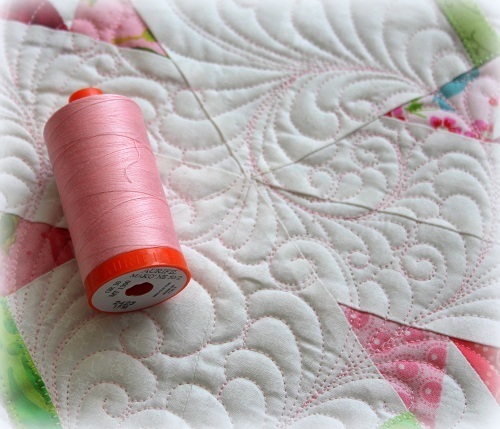 I have never used Aurifil for quilting, but yours is stunning! This is really pretty. I love it. Easter is my favorite celebration. I have been taking mom and dad to doctor spots, and just having happy times with them. 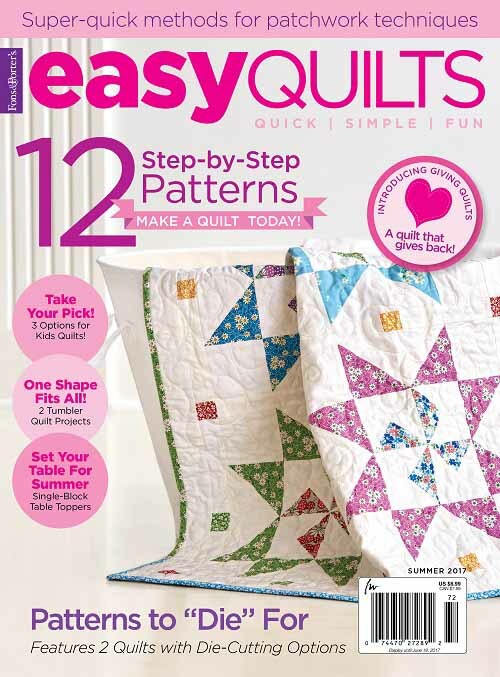 Love the pink quilting. 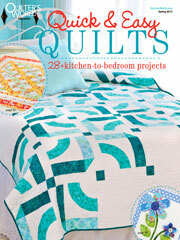 Anxious to see the entire quilt. Bet that it shouts Spring and is a beauty. I know it will be a winner, pink is always a winner!! Out of town family arrived last Monday, more out of town family will arrive tomorrow. A special time for all of us to be together, an awesome Easter celebration. Thinking of you, have a joyous celebration with your family, Wendy. The flower is beautiful! Things are shaping up well in Rogers Arkansas. The flowers are in bloom and the weather has been nice, some rain but we need the rain. Holy Week has been a great time of reflection as we walk the journey of Jesus in his final days and hours. My church, Cross Church, has Holy Week luncheon everyday with great Bible teaching from the book of Luke, Chapters 22-24. So I have been richly blessed by the Word of God. Happy Easter to you and your family. 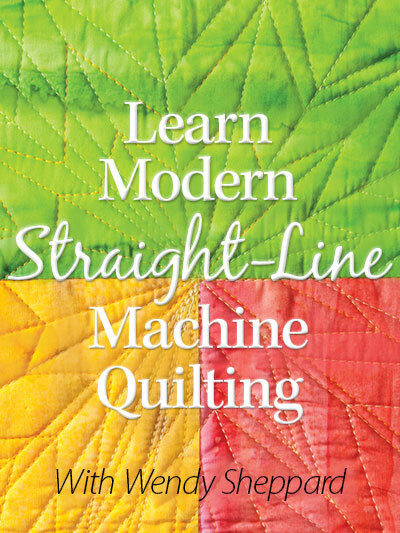 Looking forward to the tutorial. 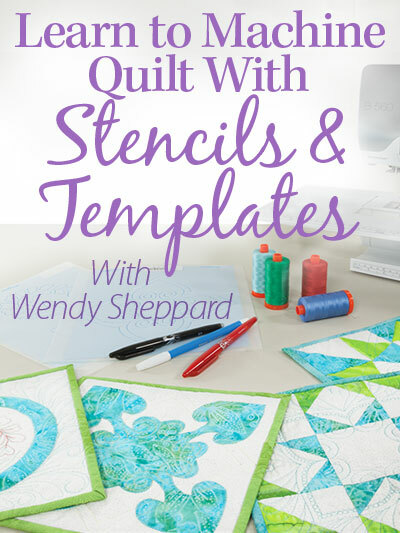 Gorgeous quilting, I love the flower. Wishing you and your family a very Happy Easter. I am enjoying your blog. You are amazing! It was wonderful to meet you in person when you came to our guild meeting in Stafford, VA. Happy Easter! One Easter treat complete and a few more to go. Beautiful sneak peek! Happy Easter to you and yours!! Love the Riley Blake-ish flower! Very cute! 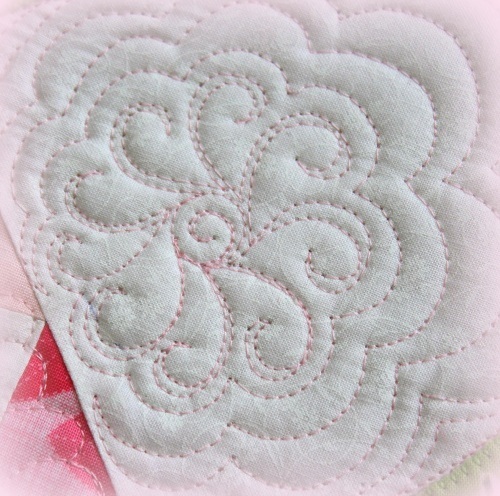 That light pink thread is so pretty as quilting. The flower looks so pretty and is definitely Riley Blakeish. It is hard to believe it is already Good Friday. Wishing you and your family a blessed Easter.